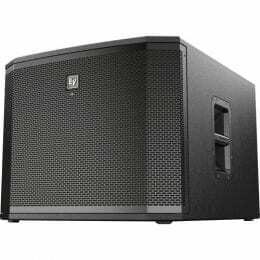 The Temblor T10 Active 10″ Studio Subwoofer is designed for low frequency sound reinforcement while monitoring in a recording studio. 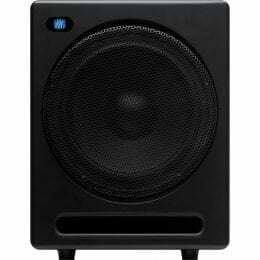 The subwoofer utilizes a 10-inch composite low frequency driver with a frequency response of 20 to 200 Hz and a maximum SPL of 110 dB. 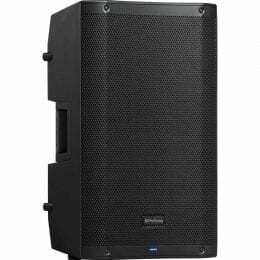 The driver is housed within a heavily braced and reinforced MDF cabinet with a vinyl finish and ported bass reflex design. 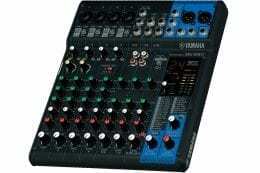 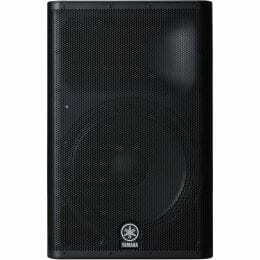 It is powered by a 250 Watt Class AB plate amplifier. 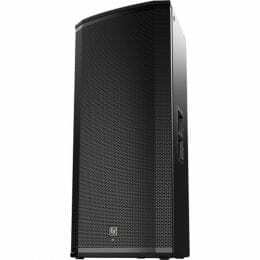 To reduce vibration, the unit features internal dampening and rests on built-in feet. 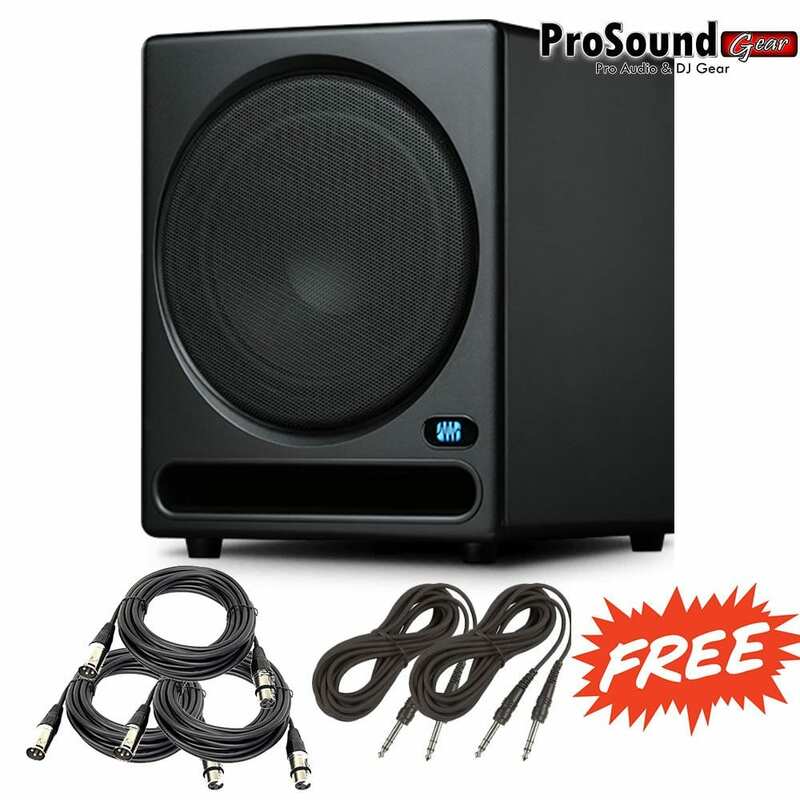 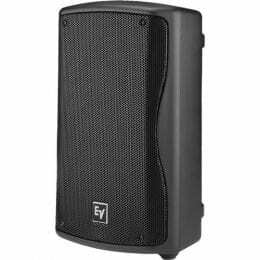 The subwoofer features a variable crossover frequency between 50 and 130 Hz, input gain controls from -30 dB to +6 dB, a 0° or 180° phase switch, and a ground lift switch. 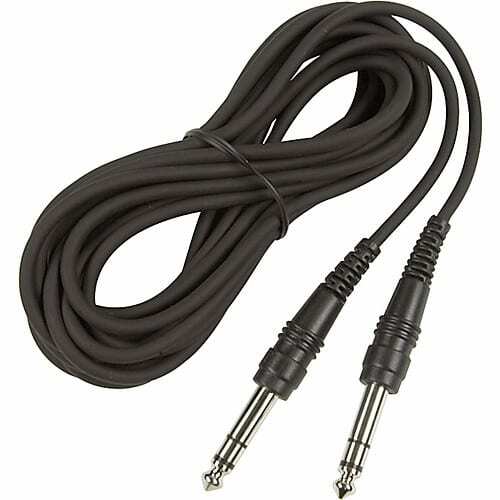 You can connect to the subwoofer via a pair of balanced XLR inputs, a balanced pair of 1/4″ TRS inputs, or an unbalanced pair of RCA inputs. 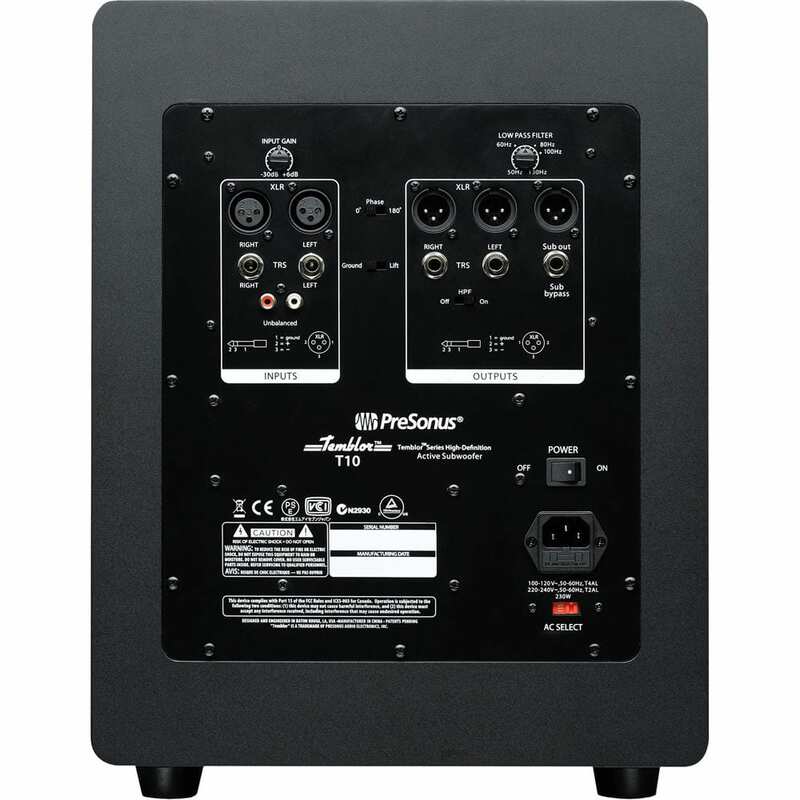 The subwoofer also includes a balanced pair of XLR pass-through outputs, a balanced pair of 1/4″ TRS pass-through outputs, and a balanced XLR sub output. 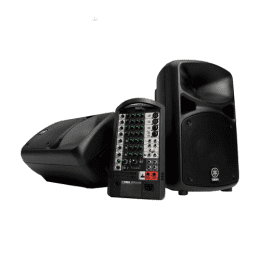 The unit features a 120/240 VAC switchable power supply to accompany studio monitors in different regions. 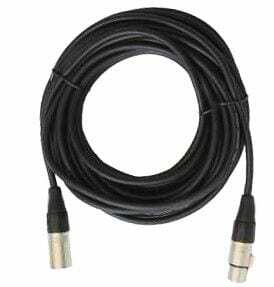 Box Dimensions (LxWxH) 21.7 x 20.3 x 17.1"
(3) XLR to XLR Cable 15FT.